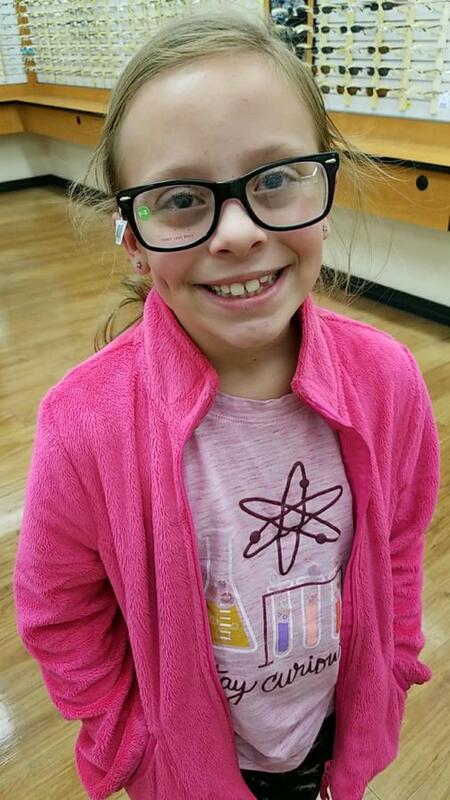 Yep, our Sunshine will be wearing glasses soon....she is supposed to get them this week. Isn't she cute? I think I have told you before how she blames her clumsiness on her mom and I...well, the ophthalmologist ask her if she was clumsy. Guess what her answer was? Yep, you guessed it...she told the Dr. that she got her clumsiness from her mom and Mamaw. As if that is not enough, she went so far as to tell her that her Aunt R is like her Papaw and they are NOT clumsy! Wonder of wonders...I started this post this afternoon, and didn't get to finish it. 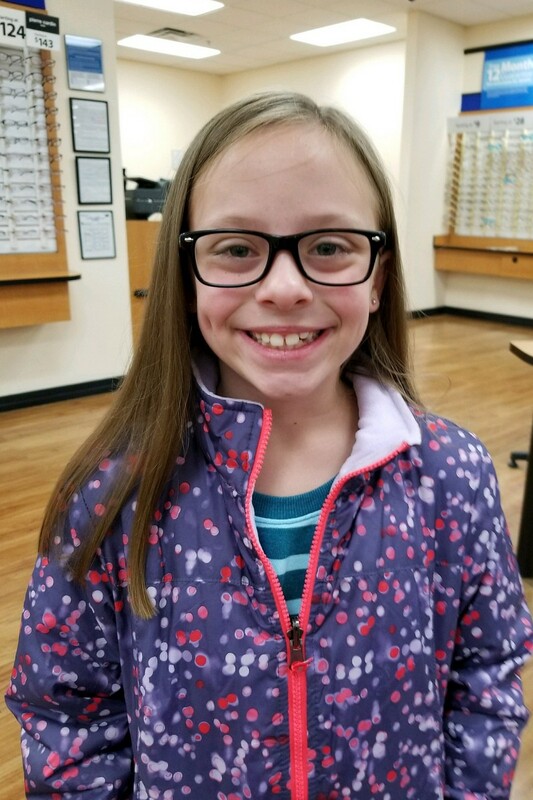 Then later, I received this photo of her with her new glasses! She is a cutie with those glasses. She looks very cute in those glasses and that is a cute story. She wears them well! What a cutie...and I love that little dimple when she smiles. She is so cute anyway. And the glasses make her look smart. So this may be the remedy for her clumsiness, maybe she just could not see that well. Oh I love her new glasses! That is cute about her telling the dr. about WHERE she got her clumsiness! She is a sweet little girl. they compliment that gorgeous smile perfectly. and now she can SEE and maybe that will help with the clumsy part. but probably not. I am clumsy, have zero balance, struggled to ride a bike, fell down when I tried to skate, could not do monkey bars. I now know it is inner ear related and that is why I can't fly or float because I get so sick... can she do any of these things? She looks good in her new glasses. I love her smile and dimple! She is so adorable, and I can just hear her telling the doctor about her mom and mamaw. That is so funny. She looks cute in her glasses and I think they make her dimple stand out even more. Yes she sure looks cute with her new glasses and very smart. She does look great with glasses. Why did the dr ask if she was clumsy? I'm so happy that she is smiling and the picture looks great. She looks super cute in her new glasses.